To create the Brut collection, the famous German designer Konstantin Grcic used one of the oldest ferrous metal forming techniques: cast iron. Cast iron has an almost archaic material presence, taking us back to the heart of the industrial revolution. Used in Victorian garden furniture or for bridge construction since the early 18th century, it’s both heavy and sturdy. 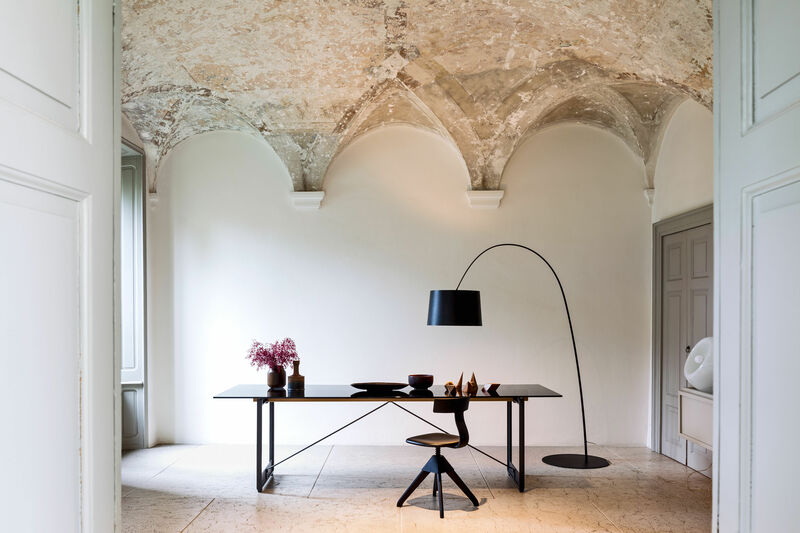 With its solid trestle-shaped cast iron legs, the Brut table immediately evokes the design table used by architects. Konstantin Grcic gives us a contemporary reinterpretation in a mixture of daring materials. 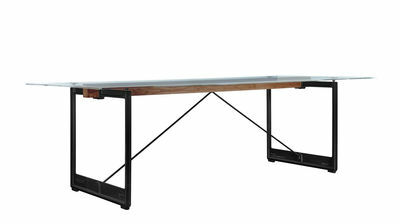 The raw, industrial appearance of the cast iron harmoniously combines with the finesse and modernity of the glass top. The transparent glass lets you appreciate the sculptural base and superb join in solid iroko which marries up with the top over its entire length and brings a warm touch to the whole thing. The Brut table can be used as a dining table in a dining room, or on your terrace in this version which is compatible for outdoor use. The cast iron base is treated by cataphoresis, a method used in the automotive industry that makes metal highly resistant to the weather and offers very high protection against corrosion.